The popular Art de Vivre is a modern style hotel with excellent facilities. In a peaceful position, a few minutes' walk from the centre of Crans and 700m to the lifts using the hotel's ski shuttle. The hotel has recently been completely refurbished throughout. The hotel offers a free shuttle service to the lifts from approx. 8.30-11am. 4 course evening meal with choice from the à la carte menu. The Hotel Art De Vivre in Crans Montana is a quality 4* Art Deco type hotel which offers stunning views from the bedrooms and the dining area. The wellness area has a stylish jet pool outdoor Jacuzzi and Sauna plus a great sun lounge. The rooms are well decorated and the bathrooms are well heated. The rooms have have flat screen TVs with the main UK channels. 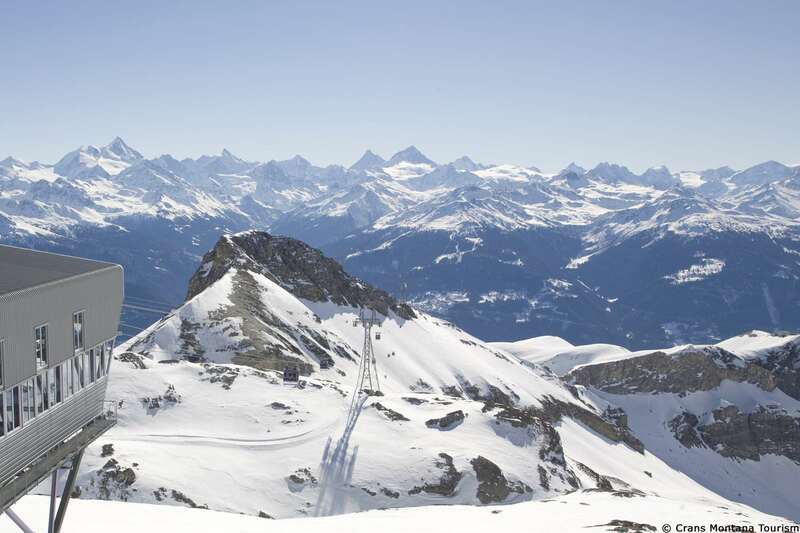 The hotel is well positioned to take advantage of what Crans Montana has to offer including the skiing and town. But if the skiing is taking it's toil of those legs it has it's own private minibus, to help you get about. The skiing is all on South facing slopes so the sun follows you up. The top lift is 3000m so guaranteed high altitude skiing. The town offers fine quality dining and lots of designer shops it even has a casino. This resort is a hidden gem in Switzerland. with the new train service via Lille you do not even have to fly.